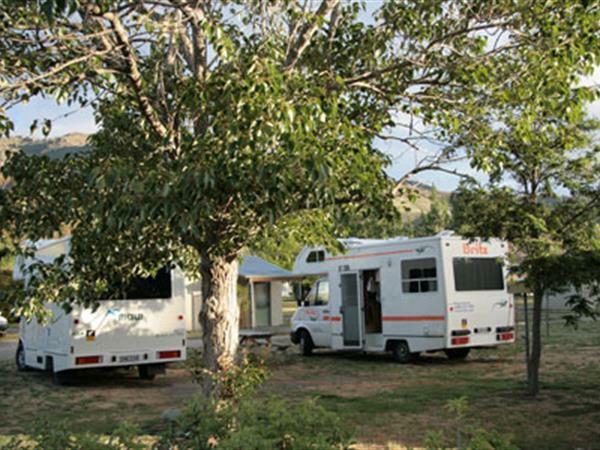 Our spacious tree-lined grounds are quiet and peaceful with lots of room for campers and motor homes alike. From the park you can admire the picturesque views of the surrounding mountain landscape. Our grounds are impeccably maintained and well established with lots of trees and grass to camp out on. While you are with us help yourself to the convenience of our spacious and modern kitchen, laundry, toilet and shower facilities. For some alfresco dining there is a BBQ area available for you to enjoy as well. Adjoining the kitchen you will also find a quiet place to relax with a book in our lounge, watch some TV or browse the many travel brochures on the wall to plan what you should do next while in Cromwell. For the campervans we also have dump station sites available within the grounds so you can lighten your load before travelling on. There are even car wash facilities available for use too.